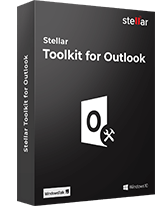 MDB, ACCDB, PDF, PS, DOC, DOCX, XLS, XLSX, PPT, PPTX, SDW, QBB, QBW, XLW, POT, PPS, PPTM, POTX, POTM, etc. AVI, WMV, ASF, MP4, MOV, M4V, 3GP, MXF, MKV, MTS, DIVX, OGM, MOI, VOB, MPEG, MPG, AVS, DVM, FLA, M4P, etc. WAV, AIFF, RPS, MIDI, MID, M4A, AU, OGG, WMA, AAC, RFL, RNS, RA, RM, MP3, M3D, CDA, AU, OGG, WMA, AAC, etc. EMLX, PST, MSG, EDB, MBOX, NSF, GWI, EML, DBX, DCI, VCF, etc. ARJ, CAB, 7Z, LZA, RPM, TAR, BZ2, HQX, RAR, SIT, SITX, ZIP, etc. Windows, Mac, internal/external Hard Drives, Zip disk, IDE, SCSI, Toshiba, Seagate, Western Digital, and SATA or Serial ATA, etc. USB Flash Drive, CompactFlash Card (CF), Memory Stick (MS), Multimedia Card (MMC), Secure Digital card (SD, SDHC, SDXC), xD-Picture Card (xD), etc. 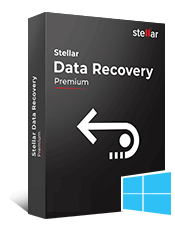 Stellar File Recovery Software - A reliable data recovery software that will help you recover lost or deleted files with their original name, all types of images, audio and video files as well as partitions that are lost accidentally from your Windows or Mac devices in Just three Steps. Stellar Data Recovery Software - A safe and effective file recovery software to recover your lost or deleted Photos, Documents, Videos, Audio, Emails, Etc. from your PC's Hard Drive as well as from USB drives, External Hard Drives, and other storage devices. The software scans through the entire device to find out files or documents that have been permanently deleted. With this software, you can recover deleted files to a location specified by you along with their original names, keeping the key properties intact. With this software, now you can scan a storage device of more than 2TB to recover the lost, inaccessible or deleted data. 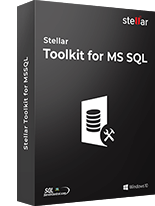 This feature makes the software ideal for use in the large business organization for data or file recovery. You will never have to lose your treasured memory as this software scans the selected drives only for images, videos, audio files and all other types of multi-media files. It supports myriad image, audio and video file formats to cater to the varying needs of users. After the scanning of the drives to recover the lost files is completed, this software will allow you to access three types of tree-views, namely - Classic Tree, File Type List, and Filtered Tree. You can choose the type of view to organize the scanned list, depending on your need and preview them in the main interface. 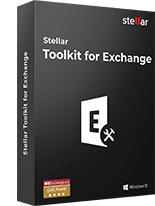 This powerful file recovery tool allows you to recover all your lost or deleted email files from any storage media. The software has a dedicated option for email file recovery, where you can only scan your hard drive for lost or deleted email files. After successful scan completed, the software will list all the deleted email under 'deleted file' section for preview. This tool facilitates creating a working copy of your hard drive by 'Create Image' feature. The imaged hard drive can be used to recover lost or deleted data from hard drive. It is very helpful in situations where the original hard drive is taking long time to scan or having so many bad sectors. The newly created hard drive image eliminates all the bad sectors from the drive. The file recovery software enables you to create an image of your complete hard drive or a selected region that you can save to a destination of choice. You can use this feature to back up your hard drive content and secure yourself against all types of data loss. Bad sectors in your hard disk do not allow you to access the drives, therefore, causing data loss. Should your hard disk have some bad sectors, immediately create a backup your data by creating an image of the disk using this tool. You can later use this image to restore all your lost or inaccessible data. Using the 'Imaging' feature, you can create an image of the entire hard disk drive or any selected region of the disk. The software then processes all sectors on your hard disk to create the image file and then recovers the data from the image created, except the severely corrupt ones. You can get back a volume that was lost either due to accidental deletion or formatting with the help of this software. It scans through the hard drive of your PC, laptop, MacBook or iMac and fetches all such volumes. It lists the fetched volumes together with other volumes in the interface, allowing you to recover the volume data that you thought was lost or inaccessible. This software is capable of recovering every bit and byte of the apparently lost data. Hello I had used Stellar Data Recovery some time ago when I lost all of my documents accidentally. This software saved my business and my life too. I recommend this software by my heart. 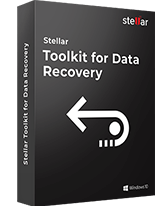 I Used Stellar Data Recovery - pro on the recommendation of my boss when I accidentally lost my important data from a crashed hard drive. I went to your website I download the software. I used and I get my lost file. The speed to recover data and features is very decent to use. I wanted to thank you for the help that your support team provided over the past three days. I was able to recover my all data. Most importantly a large project I would not have been able to recreate in time for my presentation. Your support team was very helpful through a very stressful time.